The horse with the highest three-score average earned at any FEI Level test under three different judges will be awarded the trophy. 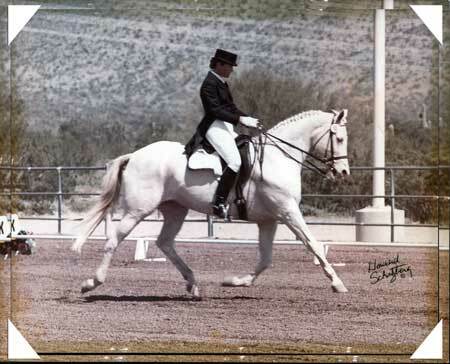 The scores must be earned at USEF/USDF-recognized open Dressage shows in Arizona. The horse must have been trained in Arizona by Arizona resident(s) and ridden by Arizona resident(s) from the time it was shown at 2nd Level. The trainer/horse or the rider/horse combination may occasionally take instruction from a clinician who is not an Arizona resident. A horse sent out of state to be trained by another trainer is not eligible to receive the Cameo Trophy. A copy of the horse’s training history must be on file with the Awards Compiling Chairman. All those who consider their horses to be eligible for the Cameo Perpetual Trophy must submit an FEI Horse Training History form to the Awards Compiling Chairman. This form is required for the scores earned to be used in the calculation of the Cameo Trophy winner. The form does not need to be submitted each year. It must, however, be resubmitted when either the owner or the trainer of the horse changes. Horses on our list may include dear friends who have moved on to greener pastures but we include them here to honor their achievements.